I have a special post for you all today! 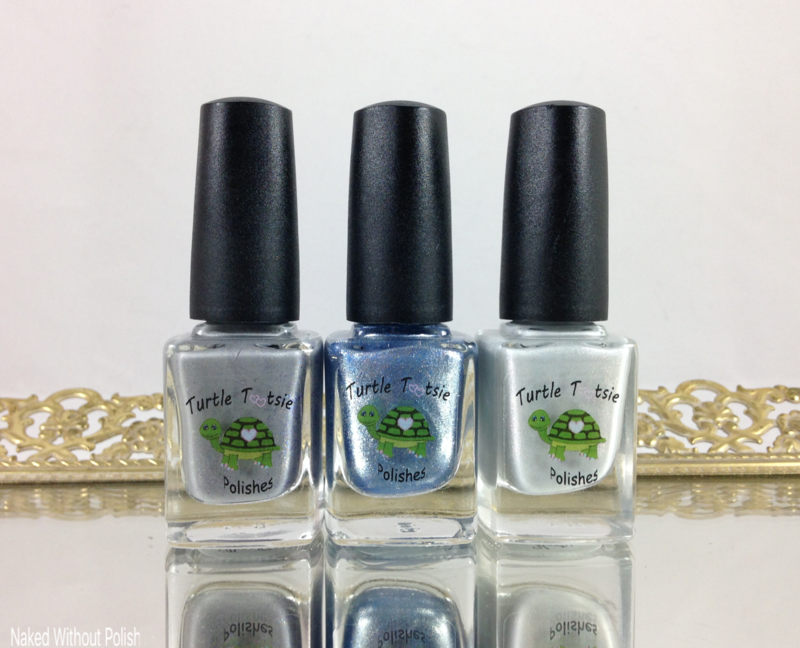 Turtle Tootsie Polish is teaming up with Crystal's Charity Lacquers to bring you three beauties to raise money for The Michael J. Fox Foundation for Parkinson's Research. 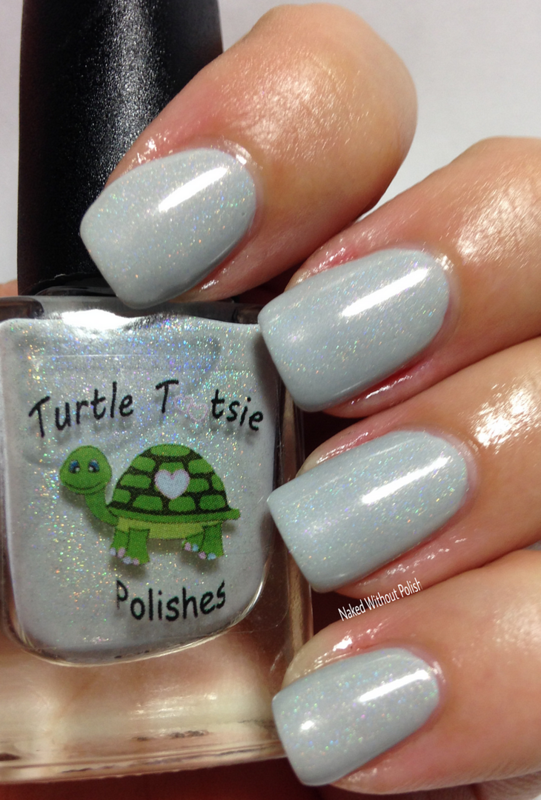 The color of the parkinson's awareness ribbon is grey, so, you will see three different shades of grey (light, dark, and silver) from Turtle Tootsie Polish for this. 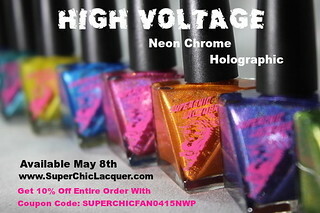 The greys are a breath of fresh air among all the neons and bright spring-y polishes. I quite think you will like these. Keep reading to see swatches, and find out more about the charity of choice. 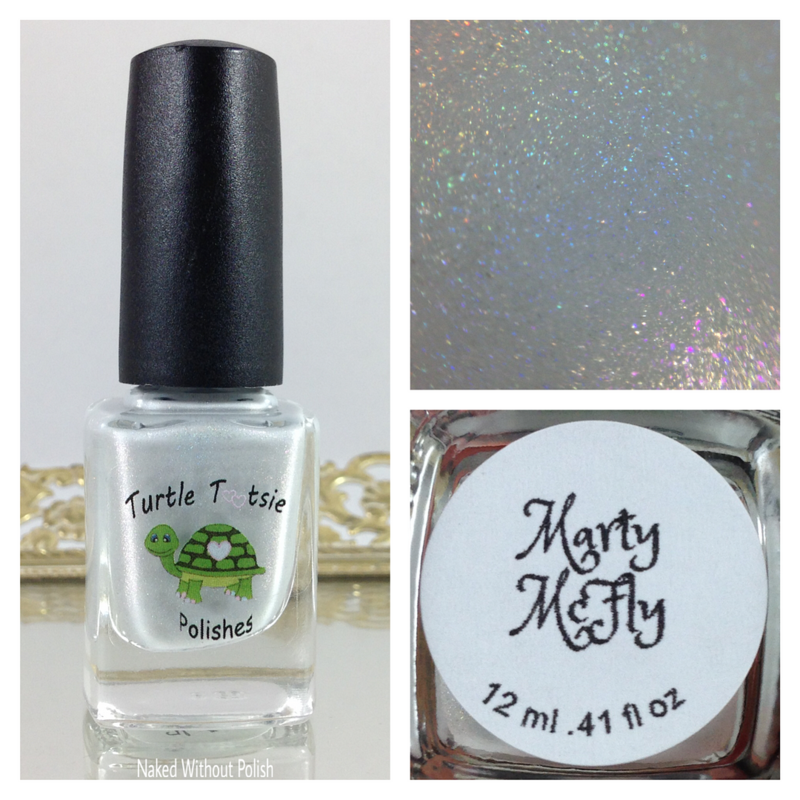 Marty McFly is described as "a pale grey scattered holo polish with pink shimmer". Shown is three coats of Marty McFly with top coat. Marty McFly had a smooth formula and application. It is a bit streaky so the three coats is needed to let it level off. I instantly fell in love with this one. The color is flawless in my opinion. I have a fondness for softer greys. 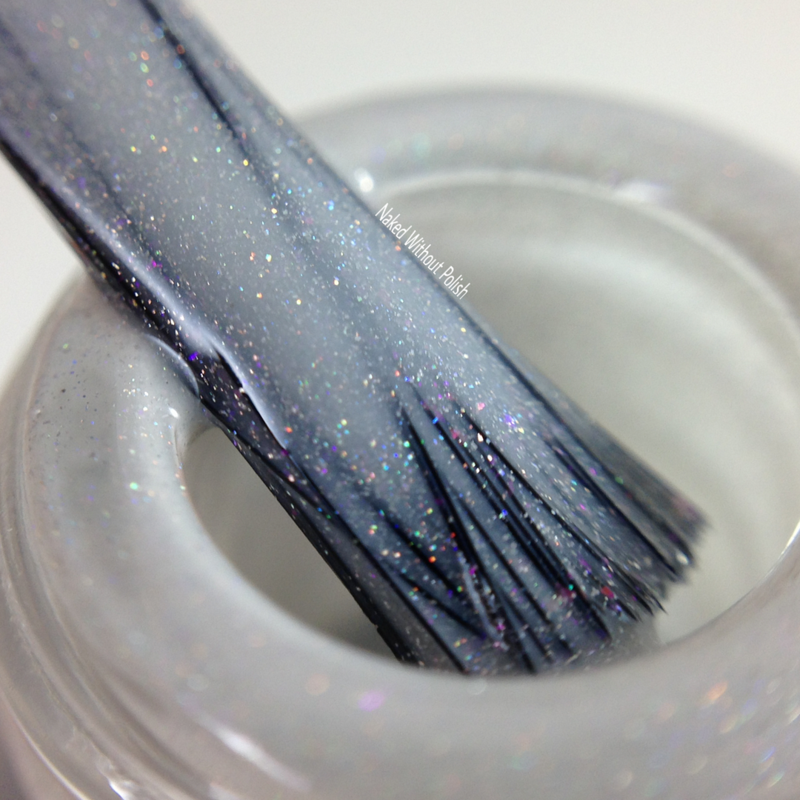 DeLorean is described as "a chromatic silvery finish with blue micro flakes". Shown is three coats of DeLorean with top coat. DeLorean had a wonderful application. I did super thin coats so three was needed. If you do thicker coats, you could easily get away with two coats. 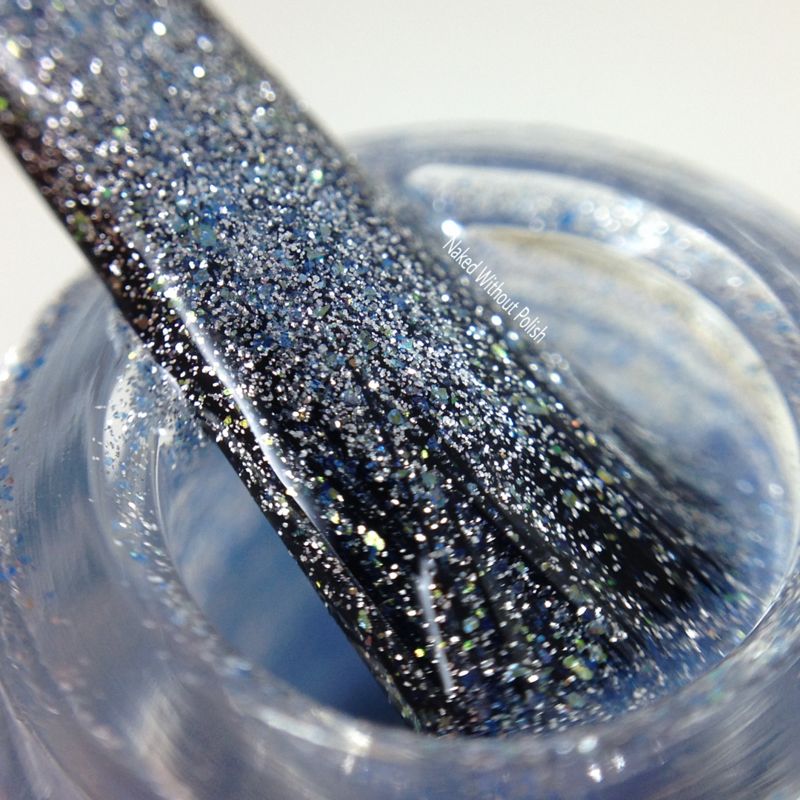 This polish is packed with flakes so opacity isn't hard to get. I really love the addition of the blue flakes to give the silver a beautiful blue shade. 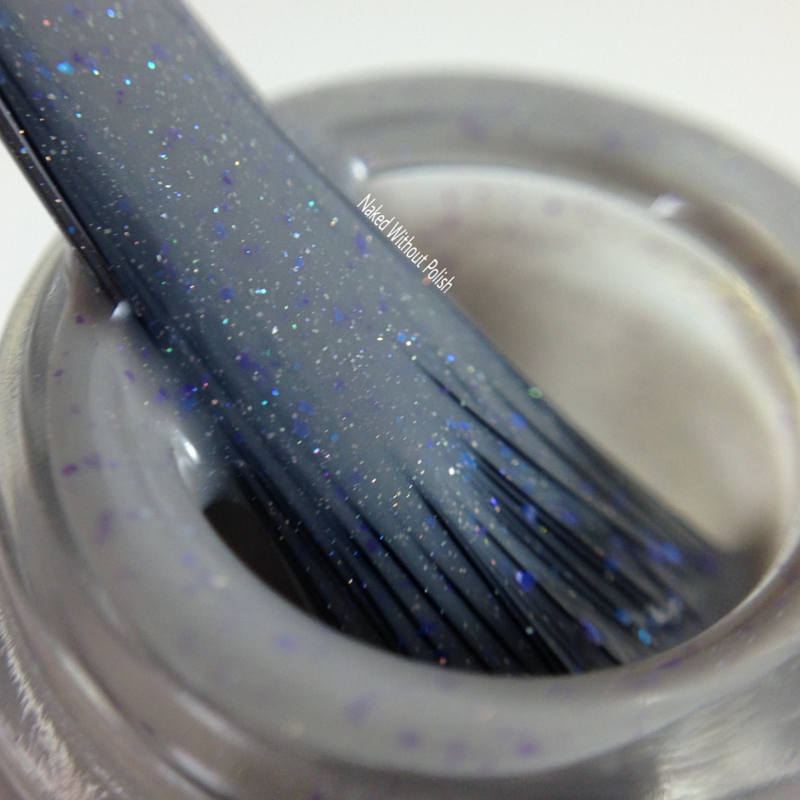 Alex P. Keaton is described as "a dark grey scattered holo polish with purple micro flakies". Shown is three coats of Alex P. Keaton with top coat. Alex P. Keaton is such a beautiful smokey shade of grey. Same great application and formula as Marty McFly. A little streaky but levels out after three coats. The addition of the purple micro flakes was such a great idea. They give the perfect something extra to this beauty. 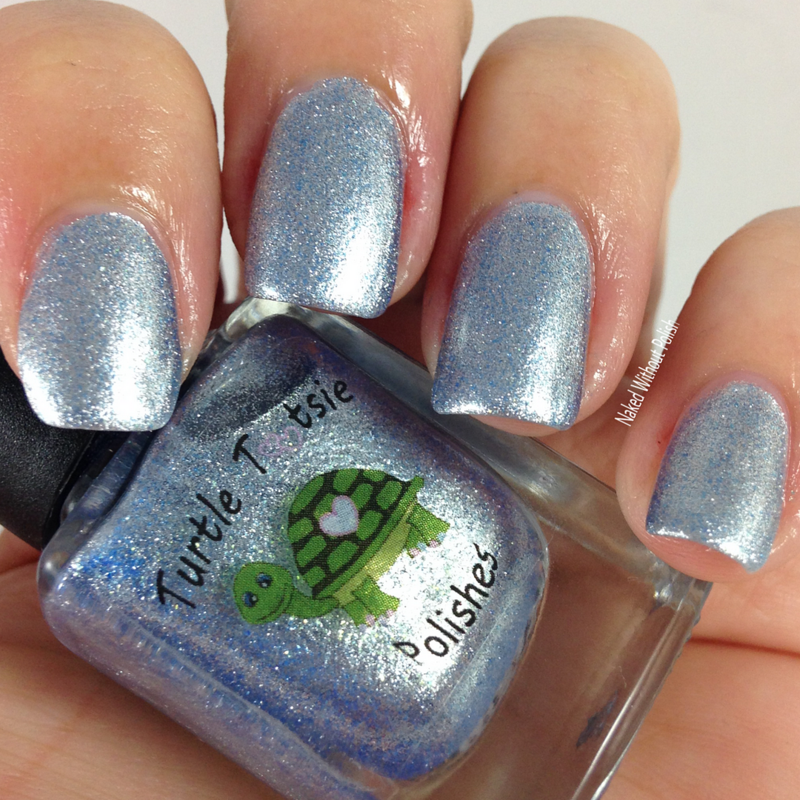 Each of these beauties will be available at www.turtletootsiepolishes.com at 12 noon EST on Friday, June 3rd. Each bottle will be $12 individually, but they will also be available as a trio for $35. The trio will also be available in mini bottles for $18. The mini bottles will only be available in the full trio, NOT individually. 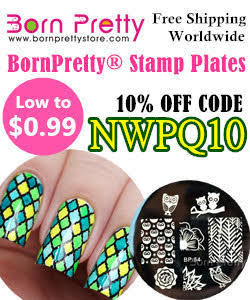 Free shipping will be offered with these in the US, and discounted shipping will be available to international customers. These will be available to purchase through Friday, June 24th at 8 pm EST. The charity these beauties are raising money for is The Michael J. Fox Foundation for Parkinson's Research. 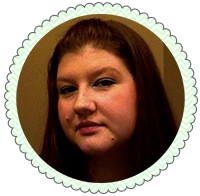 Chrissy, the lady behind Turtle Tootsie Polish, chose this charity because her grandfather was diagnosed with parkinson's in the early 90's and struggled through it until his death in 2012. I'm glad Chrissy was able to choose a charity that was near and dear to her. $2 from every individual bottle sold, $5 from every full sized trio sold, and $3 from every mini trio sold will be donated to The Michael J. Fox Foundation for Parkinson's Research. What do you think about this trio? Which will you be picking up?